Categories: 0…10 V, 0…20 mA, 1 channel, 1000 VAC/DC, 4,0 kV, 4…20 mA, Active, Input signal, No. 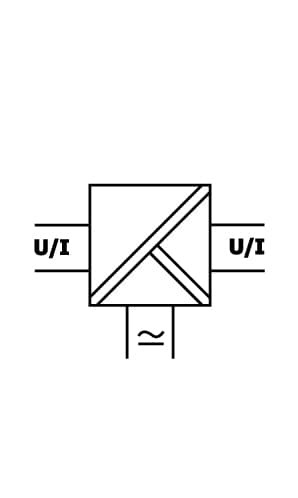 Of Channels, Standard, Type of isolator, Isolators, Yes, Isolation Transmitters. The Isolation Transmitter IsoPAQ-60P is used for highprecision isolation and conversion of 0-20 mA, 4-20 mA and 0-10 V bipolar and unipolar signals. 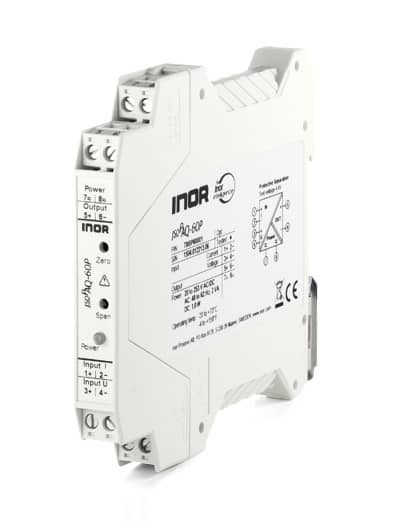 Due to the extensive range selection with a choice of 144 input/output signal combinations, the selectable bandwidth and the universal power supply, IsoPAQ-60P is a true universal transmitter for any demanding isolation application. loop. The high reliability and the Protective Separation are additional features that ensure a safe system operation. Cut-off frequency (-3 dB) 30 Hz/10 kHz switch select.